From January to June, General Motors sold 4.85 million cars and trucks worldwide, an increase of almost 4 percent, and the new Chevrolet Impala is getting rave reviews. GM bosses may be popping the bubbly, but the huge automaker remains a guaranteed loser for American taxpayers. Recall that taxpayers bailed out a bankrupt General Motors in 2009 to the tune of $49.5 billion. 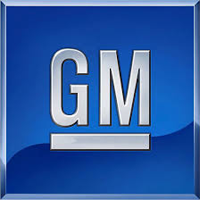 In return, the federal government got 61 percent of GM stock, a majority ownership that prompted the designation “Government Motors.” The government has been selling off GM stock, including 30 million shares in June, but still owns 189 million shares of General Motors. Despite the surge in GM sales, U.S. taxpayers remain $18.1 billion in the red. That loss could drop to some $11 billion if the government unloads GM stock at the current price. The government is supposed to sell off its remaining shares by April 2014, but that is an election year and governments do not always match words with actions. The only certainty, as Christy Romero said, is that taxpayers will lose a lot of money on Government Motors. According to her report, taxpayers will also lose nearly $3 billion on the government’s $12.5 bailout of Chrysler. Rival automaker Ford, on the other hand, did not take any government money. Ford’s net income is up 18.9 percent in the second quarter, and its stock is up 84 percent over last year. So big American automakers can prosper without government help. 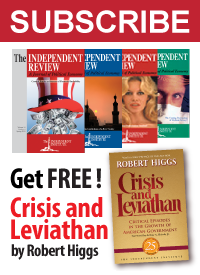 Government bailouts may provide temporary relief but carry no warranty against huge losses for taxpayers. Meanwhile, if the federal government wants to protect taxpayers and shed the stigma of favoritism, it should keep the playing field level and decline to pick winners and losers in the marketplace.